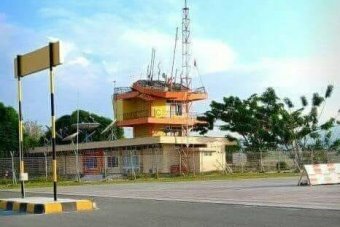 An Indonesian air traffic controller has sacrificed his life to ensure a plane carrying hundreds of people safely made it off the ground after Friday’s earthquake. His colleagues had run for their lives when the tower started to sway and walls started to crack, but Mr Agung stayed to make sure Batik Air Flight 6321, which was on the runway at the time, took off safely. “He gave clearance for this flight, and if he left his post before the plane was airborne, hundreds of people inside the plane might be in danger,” he said. Soon after the plane took off, the tower trembled, and Mr Agung decided to jump off the fourth floor of the tower, thinking the building could collapse any time. He broke his leg and suffered internal injuries in the fall. His colleagues rushed him to the nearest hospital before a doctor recommended he be taken out of the city to get better treatment. “We prepared a helicopter from Balikpapan in Kalimantan to take him to a bigger hospital in another city,” Mr Sirait said. “Unfortunately we lost him this morning before the helicopter reached Palu. 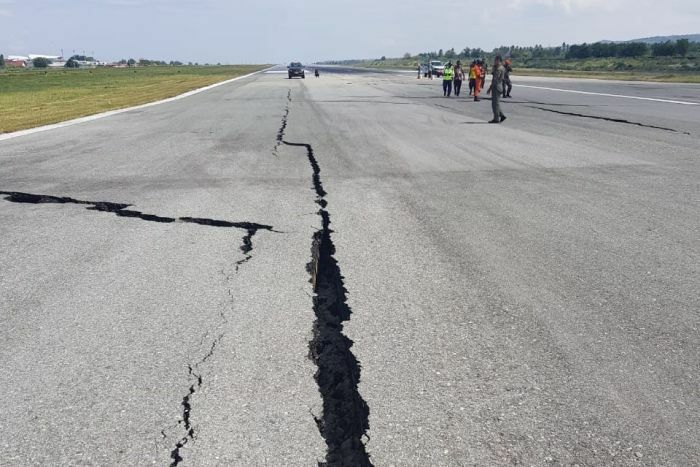 The earthquake that hit on Friday incapacitated Palu airport, the air traffic tower was severely damaged, and cracks disabled 250 meters of the runway. The airport is operating 2,000 meters of runway — just enough for emergency, SAR, and humanitarian aid purposes.